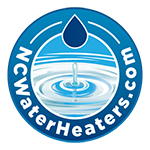 With the advancements made to modern water heating, we now have many more options than what was traditionally available for replacement water heaters. Although tankless water heaters continue to become more popular there are often times when a complete conversion to a full blown tankless system does not justify the cost of the investment. A good example would be the customer that does not need an endless supply of hot water but rather a little “boost” of performance during times that the demand for hot water exceeds what the traditional water heater can produce. The new Rheem RTEX-AB7 tank booster has proven to be a great way to increase performance and run time without the excessive cost of converting to a tankless system or the need to have more than one tanked water heater installed to meet the increased demand of hot water. 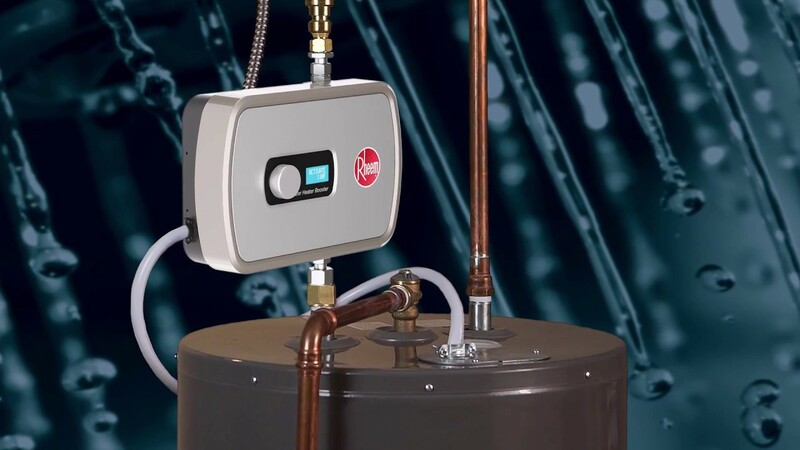 The Rheem tank booster is essentially a mini electric tankless water heater that will supplement heat to the water as it passes through it from the tanked water heater. As the water temperature from the tanked water heater drops below a predetermined temperature the tank booster will turn on to bring the temperature back up to 120 degrees and extend the overall run time of the system. Rheem states that homeowners on average will see a 45% increase in run time. That is a significant increase in the overall amount of available hot water and run time, perfect for filling your soaking tub or allowing multiple showers to be run without having to worry about running out of hot water. In addition to the extended run time of the system, the tank booster also aids in efficiency and control of the hot water system by allowing the homeowner to select several modes of operation and customize the system for their specific needs. Another interesting feature is that the unit does not activate unless it needs to. This a true advantage for a situation where a home has a duel electric water heater set up. The 2nd water heater could be eliminated and the home to run on a single electric water heater with a tank booster. The tank booster will only operate when the temperature drops low enough for it to engage and bring the temperature back up. This means that the need to heat and store 2 tanks would no longer be required, which also cuts down on energy consumption. The cost of installation is fairly minimal, and can be installed with a new water heater or at most existing water heaters. This makes the Rheem tank booster kit an affordable solution to increasing the performance of the system and maximizing your return on the investment. 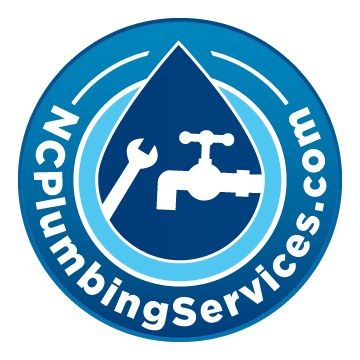 NCWaterHeaters.com offers free estimates, serves Raleigh and surrounding counties, and is fully licensed and insured. Give us a call at (919) 868-3585! No Replies to "How to bridge the gap between tankless and traditional tanked water heaters."